The senior, coming off a lingering injury, became the fourth Trojans’ runner to win a state meet individual title. The Wayzata cross-country team motto — “With the end in mind” — fit senior Khalid Hussein like a pair of broken-in shoes. A lingering knee injury diminished Hussein’s offseason training and even sidelined him for the Trojans’ season-opening meet. But he returned to form as the linchpin of a deep, talented lineup. He led Wayzata’s state championship defense and became the Trojans’ fourth individual champ in the past seven seasons. He extended a special senior season into December by taking 10th at the Nike Cross Nationals in Portland. 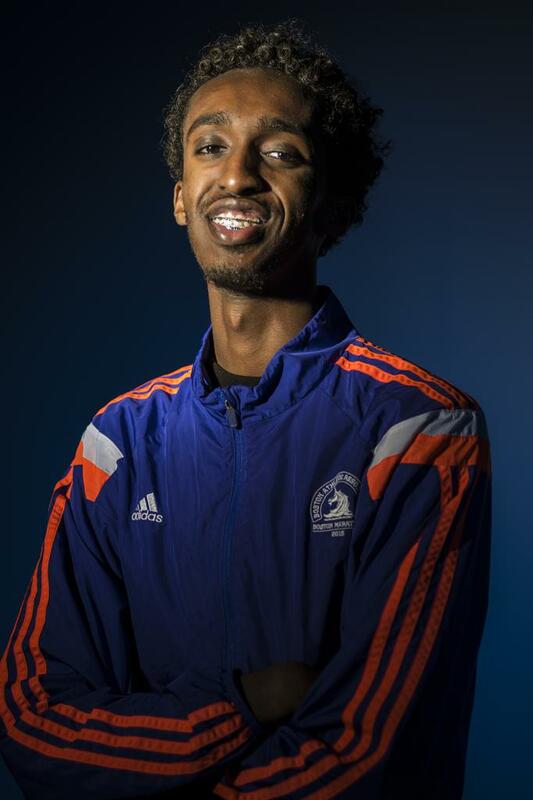 Hussein’s efforts earned him the Star Tribune’s first Metro Boys’ Cross-Country Runner of the Year award. “I was ready for the moment, “ Hussein said of his performance at the Class 2A state meet held Nov. 4 at St. Olaf College in Northfield. He won by overtaking Roseville’s Acer Iverson for good in the final 800 meters. As a junior, Hussein lost in the last 100 meters. Hussein covered the 5,000-meter course in 15 minutes, 22.6 seconds, a time that ranks second among Trojans’ champions of recent vintage. Josh Thorson, Connor Olson and Jaret Carpenter — runners who inspired Hussein — also won titles since 2010 and only Olson (15:17.1) was faster. Wayzata coach Mark Popp hailed Hussein as “probably the most talented” of the quartet. “It’s pretty cool to uphold the tradition,” said Hussein, who has committed to the Gophers. The Star Tribune has expanded its Metro Player of the Year brand to include top high school athletes in individual-based sports to join those previously announced in football, soccer and volleyball. The boys' cross-country award is one of four new All-Metro Athlete honors from the recently completed fall season. Look for more selections this winter and spring, along with our long-standing metro team and player of the year choices in hockey, basketball, softball, baseball and lacrosse. All winners from each season will be honored at a special event on June 26 at Target Field.